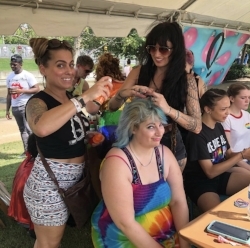 The whole salon came out to Brown’s Island to glitter and glam the people of PRIDEFEST! 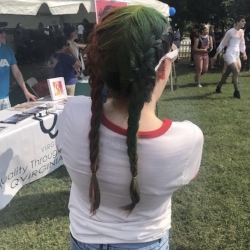 We raised over $500 for VA Pride doing braids, glitter styling, and temporary rainbow dye! 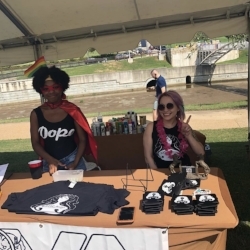 We met so many fabulous folks and had the time of our lives. See ya next year! Pride On!